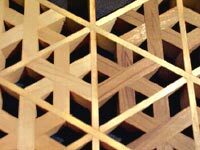 Kumiko is the refined lattice-work derived from making such fittings. 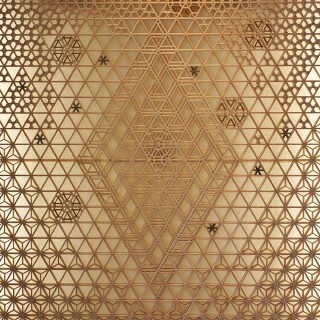 It was born of finely planed wood, inter-locked in intricate patterns. 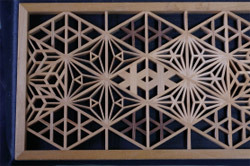 This high degree of intricacy is unique to Japanese construction. 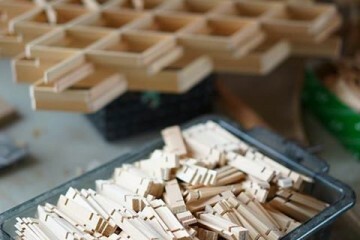 The making of kumiko is very precise work and requires great perseverance. 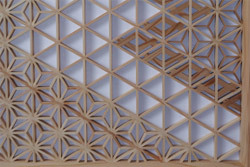 “The beauty of kumiko” is portrayed through a great variety of patterns, patterns repeated, and combinations of different patterns. 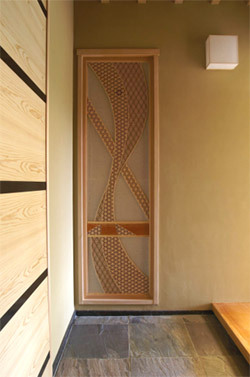 Natural color in wood is also carefully arranged. 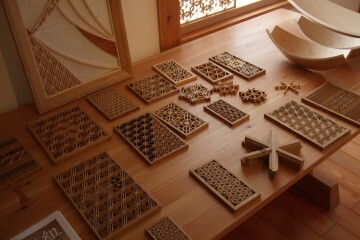 The art of kumiko is displayed through these applications. 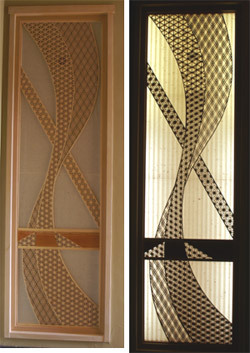 The importance of light is revealed in these two images of the same lattice piece. 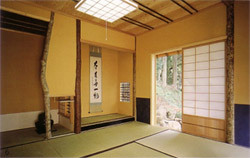 Natural light is an essential element of kumiko, and is designed and constructed with this in mind.